The Duchess of Cambridge is pregnant. We have no real London angle on this, other than looking forward to the baby eventually becoming a new data point on our monarch map. The Hammersmith Flyover remained open, even after reports suggested it might collapse. Amy Winehouse's old gaff goes for £1.98 million. Time Out round up London's weirdest offices. Launch of the City Reform Group, aiming to improve the image of the much-maligned Square Mile. London 2012 gold medalist David Weir gets the Freedom of the City of London. Fifth cycle superhighway, from New Cross to Victoria, announced. 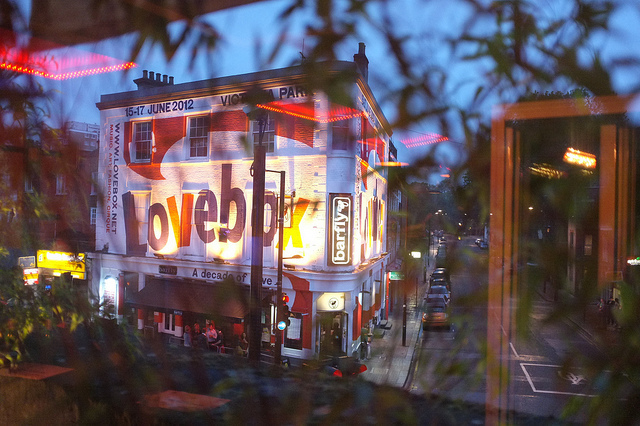 HMV sells off the Jazz Cafe and Barfly in Camden, plus Lovebox Festival. Image: Barfly, by Makipon in the Londonist Flickr pool.